The Belize Barrier Reef, the longest in the Western Hemisphere, shelters most of the windward coast of Belize. About two-thirds of the mainland coast is protected by coral reefs, as well as the windward coast of most cayes. 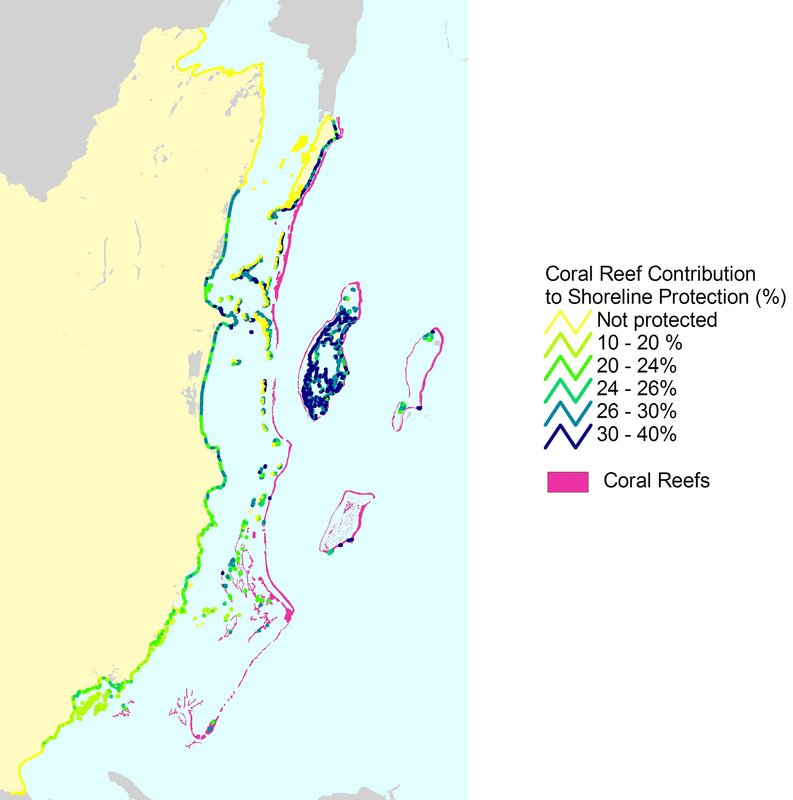 The degree of protection provided by a reef varies with reef type, depth, and distance from shore, as well as with coastal context—the elevation and slope of the shore, the geologic origin of the area, and the wave energy along the coast.